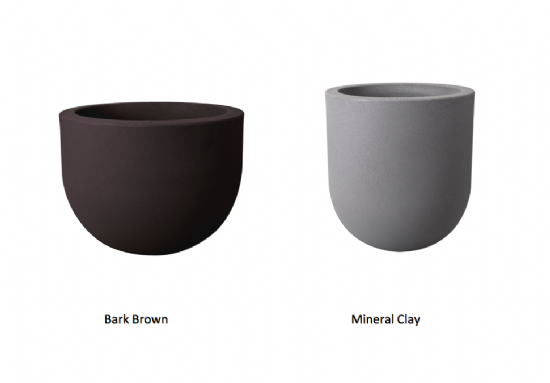 Are you looking for a modern pot with a soft and natural look and feel? Then this elho flowerpot is the right choice. 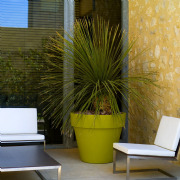 The pot is suitable for both inside and outside the house and can be combined with smaller sized plants and flowers. Using synthetic material combined with wood fibres gives the pot a soft look and feel without losing the advantages of a synthetic pot. So, the pot can be easily moved, it doesn't break if you accidentally let it drop and the pot is resistant to harsh weather conditions. This beautiful pot ensures years of user fun both inside and outside the house and can be combined with other sizes from the allure soft collection. The pot can be placed in the sun and it won't fade. Do you want to use this pot outside as well? Don't forget to drill holes in the bottom. This ensures that excess water can drain.